It was a real treat to attend my first BC Beer Awards this year. The sold-out event was packed into the Croatian Cultural Centre in Vancouver, BC. 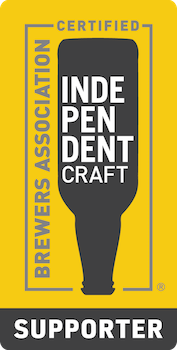 Over 83 breweries entered 750 different beers for judging. Some of the winners of the night included friends of the show Dageraad Brewing with six awards and Steel & Oak with three awards. I also had a chance to speak with the MC for the event, CBC Radio Host Stephen Quinn on his experience at the event. A full list of winners from the 2016 BC Beer Awards can be found here..
BC Beer Month has had many announcements from not only breweries but also the launch of the BC Ale Trail. I spoke with Ken Beattie, the Executive Director of the BC Craft Brewers Guild about this. It was an excellent night and big thanks to the BC Beer Awards. My long weekend adventure on Galiano Island. Welcome to the Cascadian Beer Podcast. My name is Aaron and I'll be bringing you each episode of this series. I will be focusing on the story behind the people of craft beer in the Pacific Northwest, and how these pioneers got their start. I’m just beginning the process of recording the first few episodes, and they’ll be online soon. In the meantime, you can support the production of this series on Patreon, alternatively sign-up for our mailing list to be alerted the minute episodes are released. Sign up with your email address to receive news and podcast epsiodes. Thank you so much for the support; we’ll be launching soon.